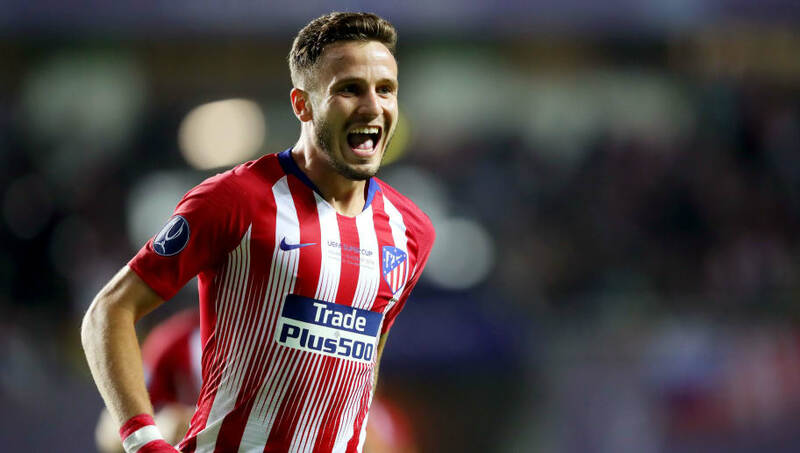 ​If Atletico Madrid ever decide to sell star midfielder Saul Niguez, Barcelona will have the option of first refusal, making them front-runners to bring the Spaniard to the Nou Camp. ​Marca reports that this agreement dates back to the 2013 transfer of David Villa from Barça to Atletico. As part of the agreement, the Blaugrana were given first refusal on Saul and his then-teammate Javier Manquillo. Manquillo ended up joining Newcastle last year after loan spells at Liverpool, Marseille and Sunderland, but Saul - who had only played two league matches for ​Atletico when the deal was struck - is now one of the league's top midfielders. This agreement is no guarantee that ​Barcelona would be able to sign Saul though - in fact, his contract will make it very difficult for any club to prise him away from Los Rojiblancos. Last summer, Saul signed a bumper nine-year contract at the Wanda Metropolitano, keeping him at the club until 2026. He also has a release clause of €150m (£134m) written into his deal. Saul, who has now made over 200 appearances for Atletico, has just returned from a very productive week of international duty in which he scored his first two goals for Spain. He got the equaliser against England at Wembley before scoring the first of six goals against Croatia to leave La Roja six points clear at the top of UEFA Nations League Group A4.